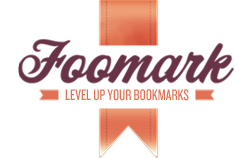 Foomark is a bookmarking site, in the vein of Delicious & Magnolia. Up to now, there wasn’t a way to integrate your foomarks with your blog or website – somthing I wanted to do. Now there is. This plugin lets you share your foomarks in a widget. It takes the JSON feed from Foomark & outputs the title of each foomark, linked to that bookmarked site. At the bottom of the widget is a link to your Foomark page. The plugin reads Foomark’s JSON feed from api.foomark.com. There is a 3-second timeout on the connection. If api.foomark.com isn’t able to respond, an error message appears, rather than holding up the rendering of your site. The plugin is internationalized with Spanish (Mexican) and German translation files. If you have any questions, please use the official support forums.